The Catawba Indian Nation (the “Catawba,” or the “Tribe”) is a Native American tribe based in York County, South Carolina. The Tribe’s only tribal reservation is located in Rock Hill, its tribal lands are all located within the State of South Carolina, and the overwhelming majority of its 2,800 members reside in South Carolina. The Catawba has no land in North Carolina, and it is not one of the tribes formally recognized by this State. With no immediate connections to the Old North State, a lot of people were shocked to learn late last summer that the Tribe was aggressively pursuing plans to build a massive casino in North Carolina just across the state line in Kings Mountain. When the Catawba finally went public with details of the project, the Tribe revealed plans for the development of a 16-acre site right off I-85 (about 30 miles west of Charlotte and about 30 miles northwest of the South Carolina reservation) that would include a $339 million, 220,000 square foot gambling facility and 1,500 room hotel. A written settlement agreement between the Catawba Indian Nation and the State of South Carolina (the “Settlement Agreement”), which is codified in both the Federal Act and the State Act. Land. The Settlement Documents apply to the Tribe as a whole, as well as to all members of the Tribe. Together, the Settlement Documents unequivocally extinguished all past, present, and future land claims of the Catawba (including claims based on aboriginal title, trespass, use, and occupancy), regardless of location. Section 6(a) of the Federal Act also ratified all previous transfers by the Tribe “of land or natural resources located anywhere within the United States.” In return for resolving all claims and ratifying all transfers, the Tribe received certain settlement funds and the Tribe’s “Existing Reservation” (consisting of approximately 630 acres) was transferred from the State of South Carolina to the Secretary of Interior. The Federal Act also sets out the Catawba’s rights and limitations on expanding the Existing Reservation and acquiring nonreservation properties, and limits the “jurisdiction and governmental powers of the Tribe” to those set forth in the Federal Act and the State Act. Gambling. In addition to settling all land rights of the Tribe, the Settlement Documents also set out all of the rights of the Tribe with respect to gambling and operating “games of chance.” Each of the Settlement Documents specifically provide that the laws and regulations of the State of South Carolina “govern the regulation and conduct of gambling or wagering by the Tribe on and off the reservation,” and that the Indian Gaming Regulatory Act (“IGRA”) does not apply to the Tribe. So instead of tribal gambling being governed by IGRA, the federal law that provides the statutory basis for the operation of casino (Class III) gambling by Indian tribes on tribal lands, the Catawba agreed that its gambling activities would be governed wholly by the terms of the Settlement Documents. A Quest for Big Time Gambling in S.C. According to John Spratt, the South Carolina congressman who shepherded the Federal Act through Congress in 1993, the Catawba’s agreement to give up any rights under IGRA was fundamentally necessary in order to get the State to approve the overall Catawba settlement arrangement. 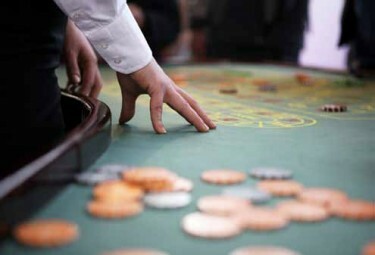 Many South Carolina legislators simply did not want any additional gambling in their State, and by insisting that the Settlement Documents made IGRA inapplicable to the Tribe, those legislators believed they had effectively foreclosed all means for the Tribe to ever operate a Las Vegas-style casino in South Carolina. The years since the ratification of the Settlement Documents have proven the South Carolina legislature right, and the Catawba’s numerous attempts at operating a casino gambling facility in South Carolina have met with failure at each turn. The Catawba’s latest such attempt failed when the Supreme Court of South Carolina issued its ruling in Catawba Indian Nation v. State of South Carolina on April 2, 2014. In that lawsuit, the Tribe alleged that the South Carolina Gambling Cruise Act (which permits video gambling on cruises in international waters) constitutes an authorization of video gambling by the State that permits the Tribe to offer casino-style video gambling on the Existing Reservation. The S.C. Supreme Court disagreed, holding that the Gambling Cruise Act does not authorize the Tribe to offer video gambling on its Existing Reservation in contravention of the existing statewide ban on video gambling devices. The court specifically noted in its opinion that the Catawba had waived its right to be governed by IGRA, and that it had instead agreed to be solely “governed by the terms of the Settlement Agreement and the State Act as pertains to games of chance.” The court concluded that although “the Tribe is not treated the same as everyone else in certain respects of the law,” “in regards to ‘video poker or similar electronic play devices,’ the Tribe has specifically agreed to be treated like everyone else” through the Settlement Agreement and the State Act, and as a result, the Catawba may not operate video gambling devices in South Carolina. Given its total lack of success in South Carolina and the apparent commercial success of the Eastern Band of Cherokee Indians’ Harrah’s Casino in western North Carolina, it probably should not surprise anyone that the Catawba would look towards North Carolina in hopes of establishing a significant gambling operation. Still, when the news became public on August 15, 2013 that the Tribe was taking steps to put a casino in Kings Mountain, the public was caught entirely off guard. Leading policy leaders, including N.C. Governor Pat McCrory (R), N.C. Attorney General Roy Cooper (D), N.C. Insurance Commissioner Wayne Goodwin (D), leaders in the N.C. Senate, and over 100 members of the N.C. House of Representatives, quickly moved to state their opposition to the idea of the South Carolina-based Catawba establishing a casino in the Tar Heel State. Through the Trust Application, the Tribe seeks to put the 16-acre tract in Cleveland County, North Carolina into trust with the Secretary of Interior on behalf of the Tribe to use “for economic development, including an entertainment complex, and to the extent permissible under relevant law, gaming.” By “reservation shopping,” and attempting to put land located outside the tribal reservation into trust for the purposes of operating a casino, the Catawba is following in the footsteps of other Indian tribes. Reservation shopping tribes have typically selected land for trust on the basis of whether it provides easy access to large numbers of potential gamblers, rather than on the basis of the tribes’ historical connection to the land. With its proposed casino site located on Interstate 85, just 30 miles from Charlotte and within a 100-mile drive for approximately five million adults, the Catawba’s selection of off reservation property is very much in line with the past practice of reservation shopping tribes. The Tribe’s reservation shopping initiative is nevertheless completely unprecedented, according to Matthew Fletcher, professor of law and director of the Indigenous Law & Policy Center at Michigan State University. This is because all prior trust applications by Indian tribes seeking to have the Secretary of Interior place new land into trust for gambling purposes have been governed by IGRA. IGRA, which has been used by a handful of tribes to successfully acquire off reservation land for casinos, does not apply to the Catawba Tribe, and consequently does not apply to the Trust Application. In making its Trust Application, the Catawba may not rely on IGRA or any past decisions of the Secretary of Interior as precedent for deciding its Trust Application. By ratifying all previous transfers of land and extinguishing all potential land claims of the Tribe “anywhere within the United States,” the Federal Act effectively prevents land from being taken into trust on the Tribe’s behalf by any method other than the one provided in the Settlement Documents. The Secretary of Interior’s decision on whether the Kings Mountain site may be taken into trust for the Tribe’s benefit must therefore be determined solely on the basis of the terms of the Federal Act, the State Act, and the Settlement Agreement. The Tribe filed its Trust Application with the Secretary of Interior “pursuant to” Section 12 of the Federal Act, which governs the expansion of the Existing Reservation. The Tribe argues that the proposed land into trust acquisition of the Kings Mountain property is mandatory under the Federal Act because the Trust Application meets all of the requirements for putting land into trust under the terms of the Settlement Documents. The Catawba asserts that because the Kings Mountain property lies within the Tribe’s federal “service area” (as defined in the Federal Act), the Settlement Documents specifically permit placing North Carolina property into trust for the benefit of the Tribe. The Tribe also contends that because the targeted land is located outside of the State of South Carolina, it is entirely free from the restrictions imposed by the Settlement Documents on land acquisitions within South Carolina. According to the Tribe’s arguments then, the Settlement Documents’ detailed requirements for expanding the Existing Reservation only apply to lands acquired in South Carolina, and land in North Carolina that is taken into trust is subject to no state or federal oversight whatsoever. In its Trust Application, the Tribe chooses to ignore the specific requirements outlined in the Settlement Documents for expansion of the Existing Reservation, perhaps because such requirements effectively prevent expanding the Existing Reservation into land within North Carolina. Contrary to the Tribe’s arguments in the Trust Application, the plain language of the Settlement Documents makes clear that only land within South Carolina may be held in trust with the Secretary of Interior and used to expand the Catawba’s Existing Reservation. The Settlement Documents define the word “State” only to mean the “State of South Carolina.” Neither “North Carolina” (nor any other state) is even mentioned in the State Act or the Settlement Agreement. Moreover, in each place that the Settlement Documents reference a state legislature or governor, such terms are defined to mean the state legislature and governor of South Carolina. The legislative history of Section 12 of the Federal Act (which provides the only means for the Tribe to acquire land in trust), clarifies that all of the land that is acquired and taken into trust for the benefit of the Tribe must be land located in York County and Lancaster County, South Carolina. The only Settlement Document that even mentions “North Carolina” is the Federal Act, which references it one time in the definition of “service area,” an area consisting of all of South Carolina and six “counties in the State of North Carolina” (Cabarrus, Cleveland, Gaston, Mecklenburg, Rutherford, and Union). The term “service area” appears only five times in the Federal Act: once in the definition of the term; once with respect to federal benefits and services for members of the Tribe; and three times in relation to the Tribe’s “base membership roll.” The term “service area” is never used in the Settlement Documents to discuss land acquisitions, lands eligible for being placed into trust, or the expansion of the Existing Reservation. The legislative history of the Federal Act indicates that the term “service area” appears in the Federal Act only in order to define the “Catawba health care service area” in the context of Section 4(b) of the Federal Act, which concerns “eligibility for federal benefits and services” for members of the Tribe. The Tribe’s contention that the inclusion of six counties in North Carolina in the definition of federal “service area” somehow permits the Kings Mountain property to be placed into trust and used to expand the Existing Reservation is simply without merit. The Settlement Documents make clear that the only land that may be held in trust by the Secretary of Interior for the benefit of the Tribe is land located within South Carolina. The Settlement Documents therefore do not allow the Kings Mountain site to be placed in trust, and the Secretary of Interior should reject the Trust Application. In the Catawba’s Trust Application, the Tribe argues that any “service area” land in North Carolina that is taken into trust for the benefit of the Tribe is exempt from the regulatory requirements imposed by the Settlement Documents on lands within South Carolina. This interpretation flies in the face of the precise language of the Settlement Documents themselves, which provide that any land taken into trust for the benefit of the Tribe is singularly governed by the laws and regulations of the State of South Carolina. Section 4 of the Settlement Agreement specifically provides that the Tribe, its members, and “lands held in trust for the Tribe” are subject to the “civil, criminal and regulatory jurisdiction” of the State of South Carolina. Section 11 of the Settlement Agreement also states that South Carolina exercises exclusive criminal jurisdiction over the Catawba’ reservation. The fact that South Carolina law governs the Tribe and its land is also made evident by Section 14(b) of the Federal Act, which concerns the conduct of “games of chance” by the Tribe and provides “all laws, ordinances, and regulations of the State [of South Carolina], and its political subdivisions, shall govern the regulation of gambling devices and the conduct of gambling or wagering by the Tribe on and off the Reservation.” The State Act contains the exact same language, and the Settlement Agreement provides in two different subsections that “all laws, ordinances, and regulations of the State of South Carolina, and political subdivisions” govern the regulation and conduct of gambling or wagering by the Tribe. The Settlement Documents therefore make crystal clear that South Carolina law governs the regulation and conduct of any and all gambling anywhere by the Tribe. As already discussed, the Settlement Documents do not permit lands outside South Carolina to be placed into trust for the benefit of the Tribe. However, even if one assumes that the Settlement Documents could somehow be read to allow the Kings Mountain site to be placed into trust, the Settlement Documents mandate that the laws and regulations of South Carolina will govern such land, as well as all gambling activities of the Tribe on such land. The South Carolina Supreme Court recently slammed the door on video gambling operations in that State when it held that the Tribe is subject to South Carolina gambling law in the same manner as any ordinary citizen of South Carolina. Therefore, even if the Settlement Documents would allow the Kings Mountain site to be placed in trust as the Tribe argues, South Carolina law would foreclose the Tribe from opening a casino on the property because South Carolina law, as reiterated by the South Carolina Supreme Court, expressly prohibits all forms of video and Las Vegas-style casino gambling. The Tribe dismisses the applicability of South Carolina law by simply asserting that South Carolina law would not apply to property in North Carolina that is held in trust. The Catawba’s interpretation of the Settlement Documents produces a scenario where the Tribe would be free of any laws or regulations governing the Kings Mountain site or the operation of a gambling casino on North Carolina property if such property were placed in trust. Clearly, the Tribe’s “anything goes” approach is not intended by the Settlement Documents, which would not provide a highly regimented regulatory process for South Carolina land on one hand, and then place absolutely no guidelines or regulations on North Carolina land on the other. In fact, the Federal Act expressly states that, “The jurisdiction and governmental powers of the Tribe shall be solely those set forth in this Act and the State Act.” The Tribe simply cannot produce an entirely new set of rights and privileges out of thin air. The only plausible understanding of the Settlement Documents is that they simply do not contemplate or permit lands outside of South Carolina to be taken into trust for the benefit of the Catawba. According to the terms of the Settlement Documents, any property placed in trust for the benefit of the Tribe is necessarily subject to the laws of South Carolina, including the state’s “civil, criminal, and regulatory jurisdiction,” gambling laws, real property taxes, local building codes, etc. If the Kings Mountain site were placed into trust, as the Tribe argues it should be, such North Carolina land would correspondingly fall under the jurisdiction of another State, resulting in a clear violation of the U.S. Constitution. To interpret the Settlement Documents in the manner requested by the Tribe thus produces an unconstitutional dead end, which could also create some unintended consequences for the Tribe if it somehow resulted in the nullification of the Federal Act. Christopher W. Derrick, J.D., is an attorney in Asheville, N.C., who formerly served as Special Counsel to Dr. James Dobson on the 1999 National Gambling Impact Study Commission.